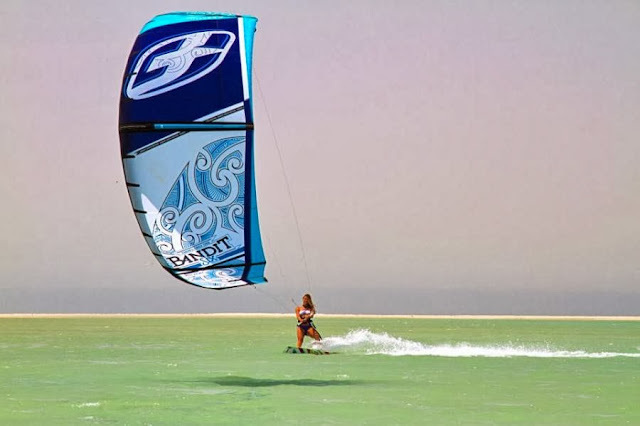 We're stoked about learning to kiteboard. After 3 lessons, Dave was riding upwind and even made a few direction changes without getting wet. Kathy is natural on the board, likely due to her collegiate water ski days at California State University Long Beach. I hope to strap our GoPro camera to the kite for digital capture very soon. We just ordered some kites from Travis at http://www.gearshedsports.com and we'll have them shipped via USPS Priority mail to the Marshall Islands. We're going with last years model of the F-One Bandit 6 kite and our quiver consists of 8/10/12/14 which has lots of overlap, but should have us riding in a broad range of wind conditions. For 20+ days Kathy can fly a Cabrinha Convert 7m thanks to Teri and Philip of s/v Blue Bie. 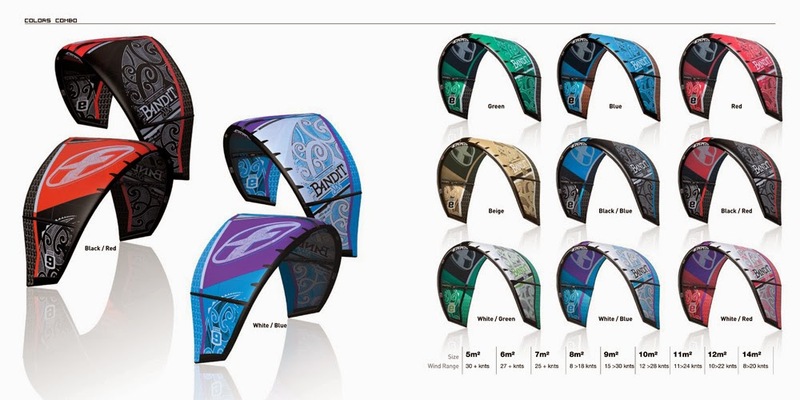 F One Bandit 6 kites.